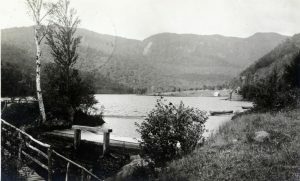 This entry was posted in Manuscript Collection, Vermontiana and tagged Lake Mansfield Trout Club, Stowe VT, trout fishing. Bookmark the permalink. I was there once around 1987 a friends grandfather invited us up from Massachusetts it was one of the best weekends of my life.. I worked at the LMTC during the summer of 1957, when I was 17. Washed dishes, cleaned a zillion trout, mowed the lawn, cleaned rowboats, carried bags, whatever, all for $22.50 a week, with one day off every two weeks. Loved it. Learned to play cribbage by watching summer long resident, Uncle Arthur (Bigelow), in the evenings. 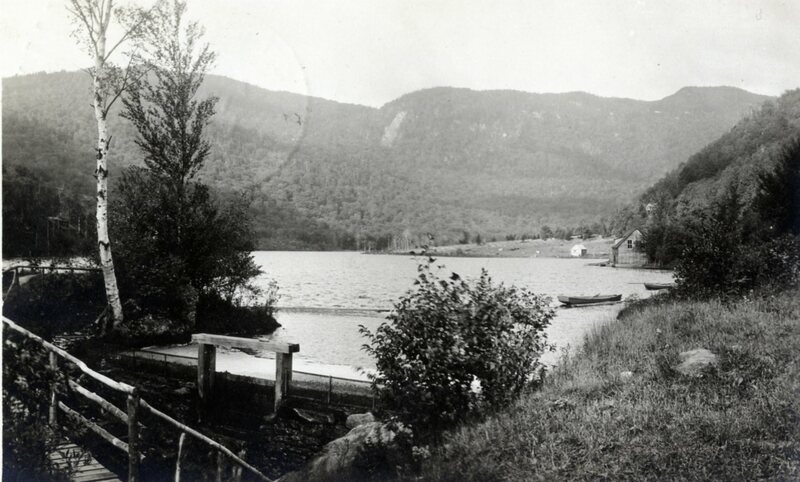 Les and Alice Billings, who also ran the Ski Barn in Waitsfield, were the proprietors then. My grandfather, the Rev. Homer A. 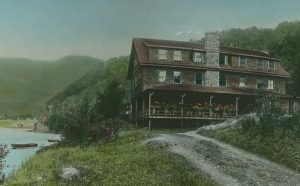 Flint, was a long time member and retired from the Episcopal Diocese of Pittsburgh to Stowe so that he could be near the Club. My sister, brother, and I spent many hours at the club when we visited our grandparents. This was in the era of no heat, no modern toilets, but good food. 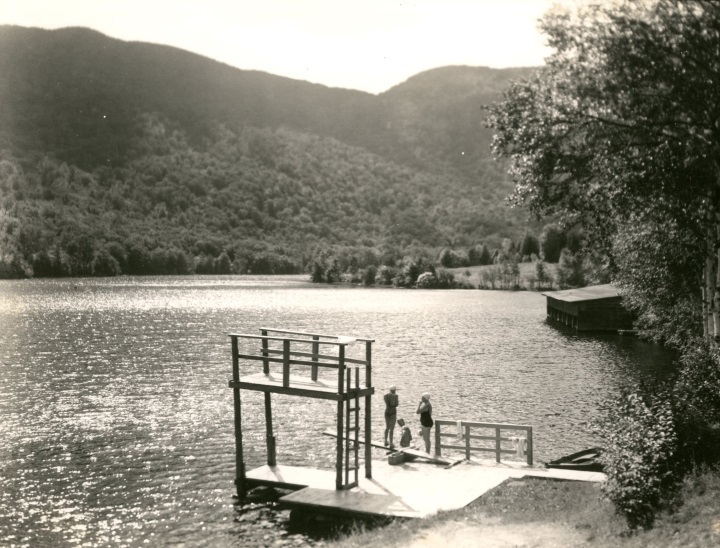 Swimming to the float, hiking the trails, and learning to canoe were always part of our summer vacations and greatly enjoyed. I thoroughly enjoyed reading this blog, prepared by my granddaughter Erin Clauss. and shared good times with previous generations!